Diego Montiago Jr. was groomed to run the largest criminal organization in both the United States and Mexico by the kingpin of the syndicate himself, who also happens to be his uncle. With no conscience or remorse he becomes a true killer with a reputation that keeps most people at a distance. The betrayal of his high school sweetheart sends Diego into a tailspin, which causes him never to expect love to be a feasible addition to his world. During a lavish birthday party for his mother, his best friend and cousin decides to collect on an overdue debt. Little does he know that this exchange will change him forever. In book four of the series Diego Jr. continues to protect his family and fill the shoes of the former Mexican Godfather, Diego Montiago Sr. His real father, who is the kingpin of the rival organization, begins his deceitful attack, causing Diego to choose his allegiance. The organization engulfs his life and the lives of those around him as the siblings begin to realize that things are not even close to what they appear to be. Will love find Diego Montiago after all? Only time will tell. 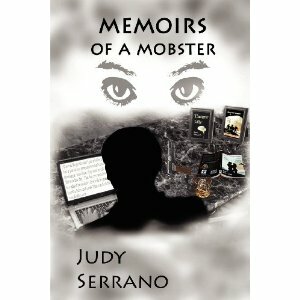 ‘Memoirs of a Mobster’ is available on Amazon.com as well as the other books in the series. 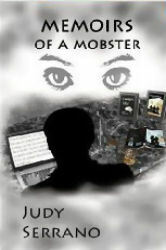 You can also find it on Barnesandnoble.com, my website, blog and most other places you can buy books online. So if you like a little “love in the afternoon” this book is for you. Even though there are no vampires here, if you loved Twilight, The Vampire Diaries and maybe a little soapy TV, this series will keep you riveted. Check it out and enter today for your chance to win free books from the series. Those Montiago men will drive you wild!